As We Were just got underway .... an exhibition at the Foyer Gallery. 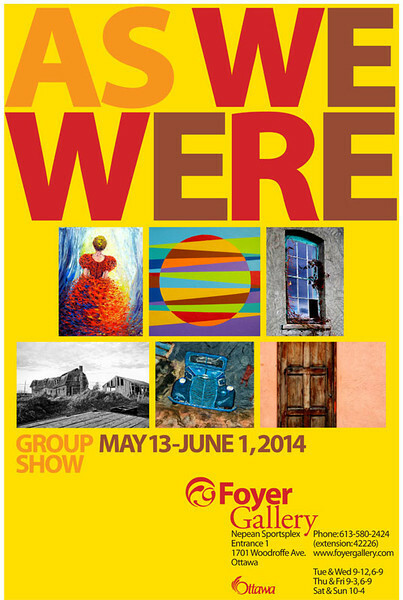 It is a group show featuring art and photography pieces by most or all of the 24 artists of the Foyer Gallery. Each member presents several pieces of work depending on size and I am showing three nostalgia themed photographs. The poster shows one of my images called Weathered Door on Peach Stucco (bottom right image). This image was taken in Huatulco, Mexico. View my three images in the show. A selection of greeting cards and matted prints by several members is also available for purchase. As We Were runs from May 13 to June 1, 2014.